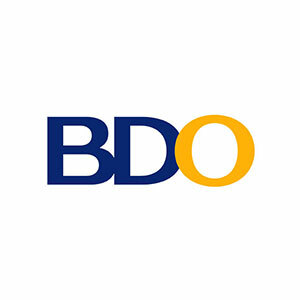 Aside from eat-all-you-can buffets and salo-salos, most Filipinos love to travel in groups – whether it is a family vacation, a barkada road trip, or even a normal Sunday drive to the mall. 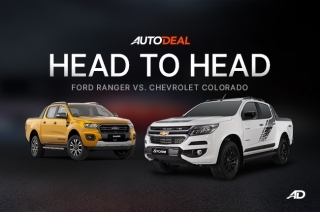 This urge to accommodate as many people as possible is one of the reasons why 7-seater SUVs and MPVs bloom in the local automotive market. 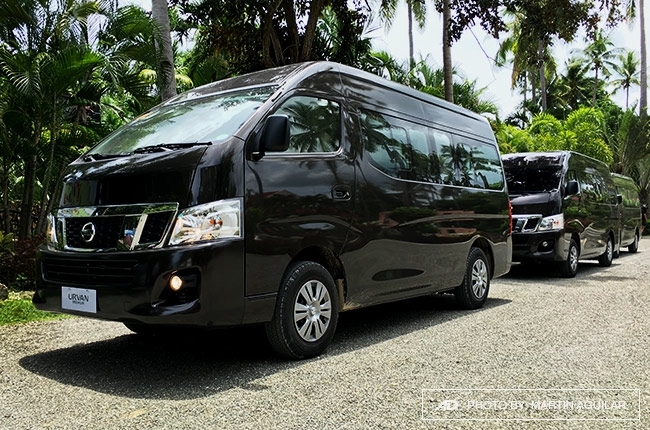 However, if that’s not big enough for you, since you want your lolo and lola; tito and tita; amigos and amigas to join the trip, then you should check out Nissan’s new 15-seater Urvan Premium van. 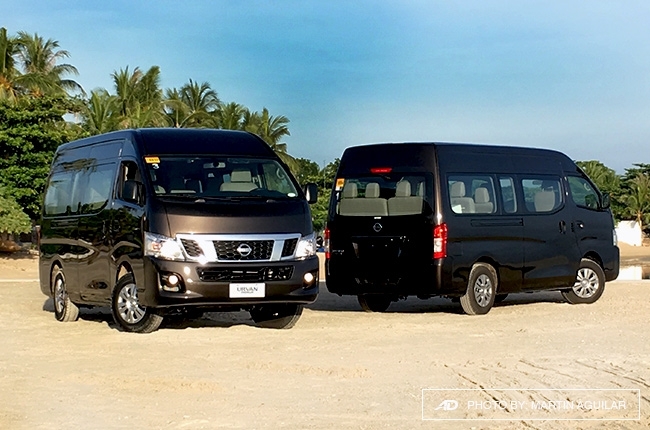 Considering its overall look and dimensions, the Urvan Premium competes directly with the Toyota Hiace Super Grandia LXV, making the local rivalry of the 2 vans even more exciting. 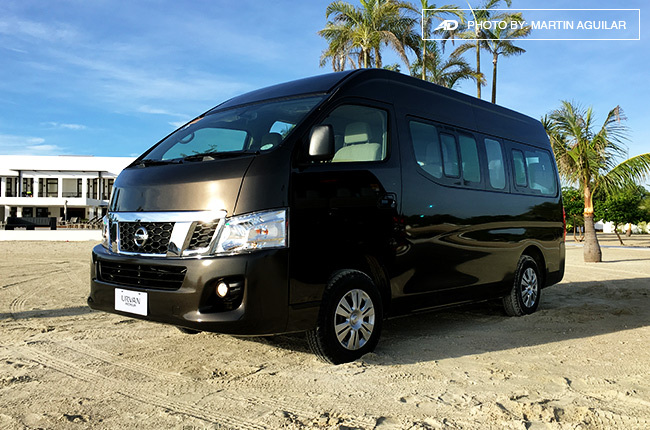 The Nissan Urvan Premium comes with a V-shaped grille, sharp-looking headlights, fog lamps, and a large bumper. The thing that separates this variant from the standard Urvan is its high roof and bigger dimensions. 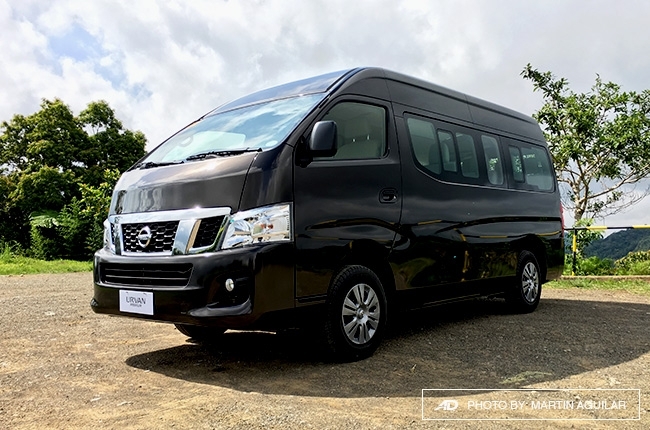 If you’re into numbers, the Nissan Urvan Premium is 295mm taller, 185mm wider, and 535mm longer than the standard variant. So, what does all those Justin Bieber, errr, jibber-jabber mean? Well, those numbers are telling you that the van has a generous leg- and head-room (a 5’5” individual can stand straight inside the van). The Urvan Premium also comes with individual reclining fabric seats as compared to the bench-type found in the standard variant. 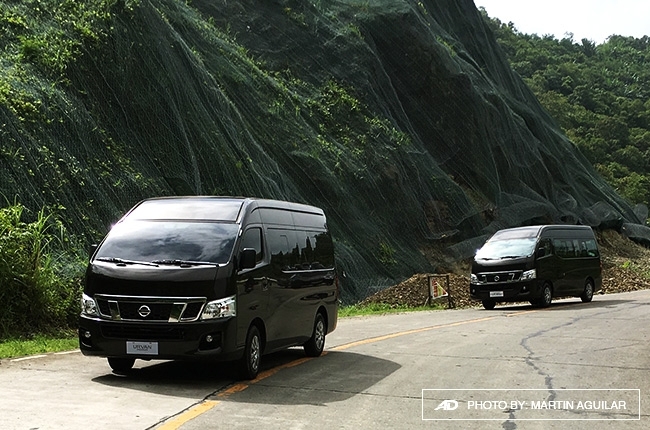 With all those things in mind, Nissan Philippines Inc. (NPI) invited AutoDeal to fly in Cebu to have a first-hand experience of what it’s like riding onboard the Urvan Premium van. Upon arrival at the Queen City of the South, we can’t help but contain ourselves in resisting the urge to munch Cebu’s famous lechon. Good thing our attention was diverted when we saw the huge Urvan Premium van – waiting and all set to prove its worth. As the sliding door opened, the spacious cabin and the legendary Nissan air conditioning unit greeted us. The fabric seats are comfortable to sit in, which allowed us to settle down for the 1st part of the trip – city drive. During our ride around the city, NPI brought us to the inauguration of its 2 new dealerships – Nissan Cebu South and Nissan Cebu Central. 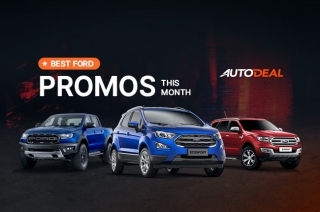 The first dealership we visited was Nissan Cebu South, which is around 15 km away from Cebu City. After that, we have to travel back to Cebu City to attend the inauguration of Nissan Cebu Central. 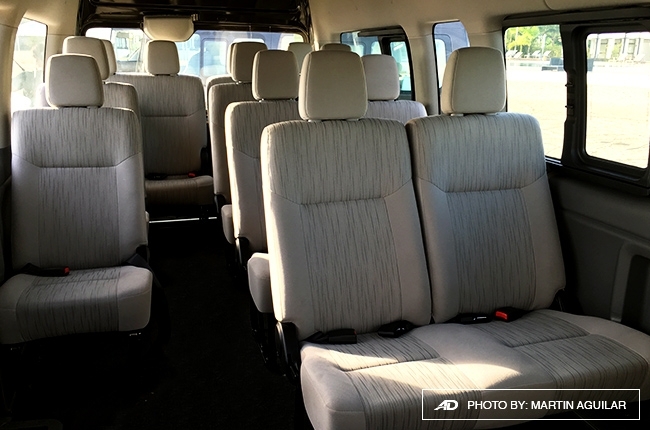 During the drive to and from Nissan Cebu South, the first thing we noticed as passengers was the Urvan Premium’s ride comfort. It managed to absorb road imperfections within reason and the 14 individual air conditioning vents was able to keep up with the summer heat, which made some of our fellow passengers dozed off. However, the A/C took a little while to cool down the cabin when the van was left parked under the sun. We also wished that the Urvan Premium had USB ports for phone chargers. The following day, we’re set for another road trip onboard the Urvan Premium. 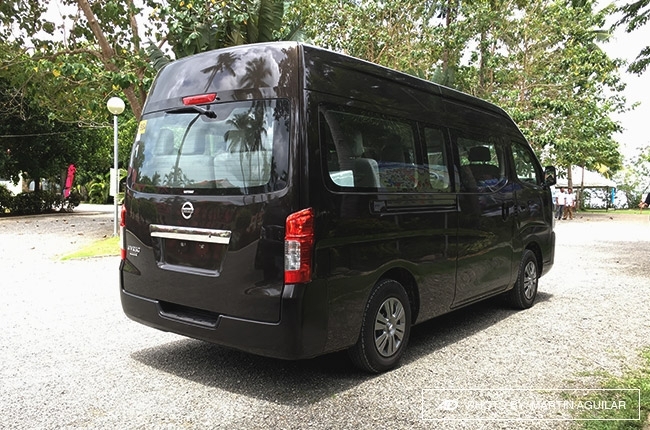 This time Nissan’s van took us for a long 126 km ride to Kandaya Resort, which is at the northern tip of Cebu. 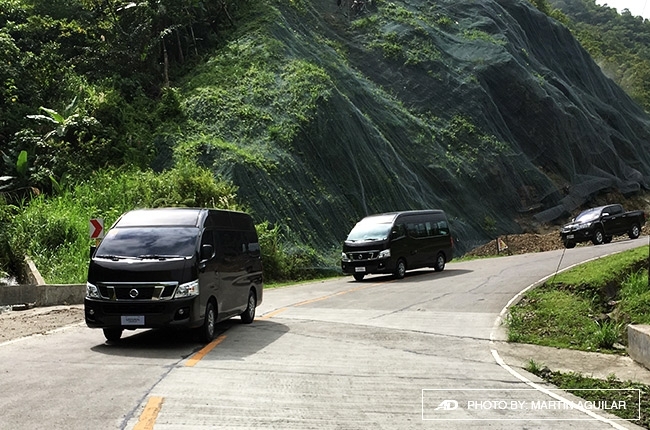 The 5-hour drive involved a combination of long provincial highway stretches, winding mountain roads, as well as up- and down-hill slopes – a perfect setting to test the Urvan Premium’s capability. Good thing this van is powered by a 2.5-liter turbodiesel engine, which is the same power unit found in the Navara. However, the engine has been detuned to 129 hp and 356 Nm of torque while shifting is via 5-speed manual transmission. In long straights, the Urvan Premium cruised with ease and delivers ample power allowing you to overtake with good measure. 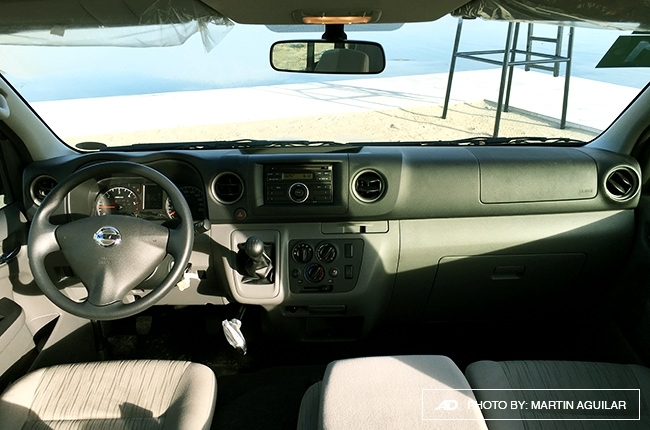 It also has an excellent forward visibility, which gives you a commanding view of the road ahead. 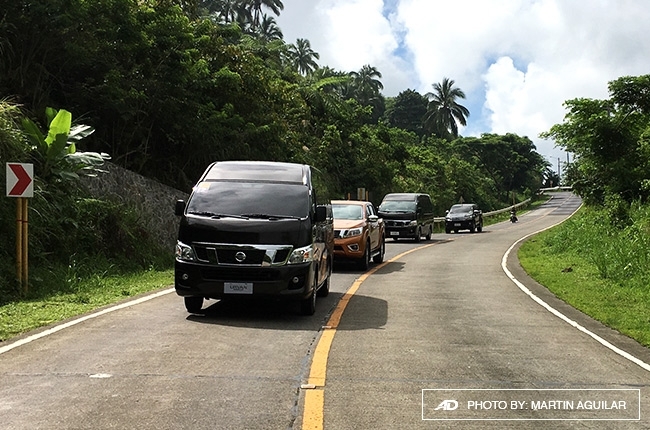 When it comes to winding roads, the van didn’t disappoint as it tackled Cebu’s twisties confidently. 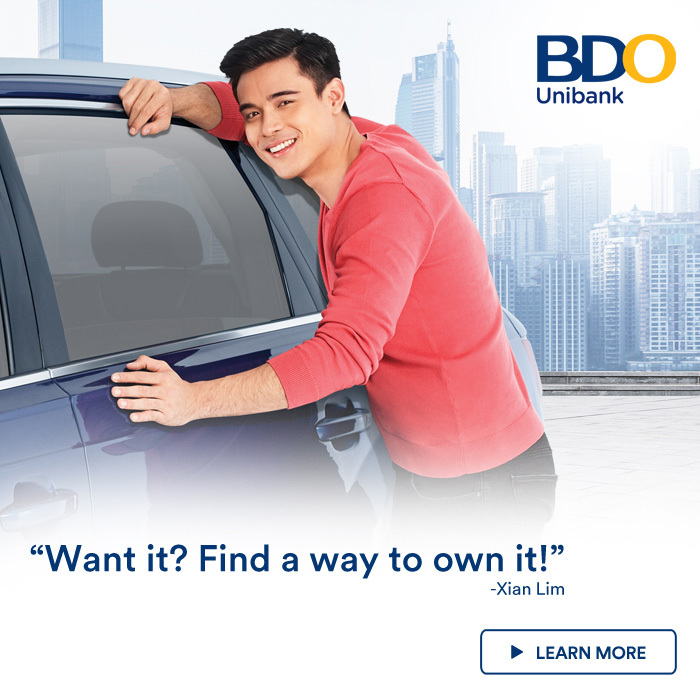 Despite its stature, we noticed that the Urvan Premium has a relatively minimum body roll, which adds to the van’s overall ride comfort – a plus factor for passengers like your lolo and lola. The individual reclining fabric seats also made the trip more pleasant. Inclines were also not a problem for this van. The Urvan Premium smoothly tackled uphill roads without the need of switching off the A/C for extra climbing power and it doesn’t lose its composure going downhill. 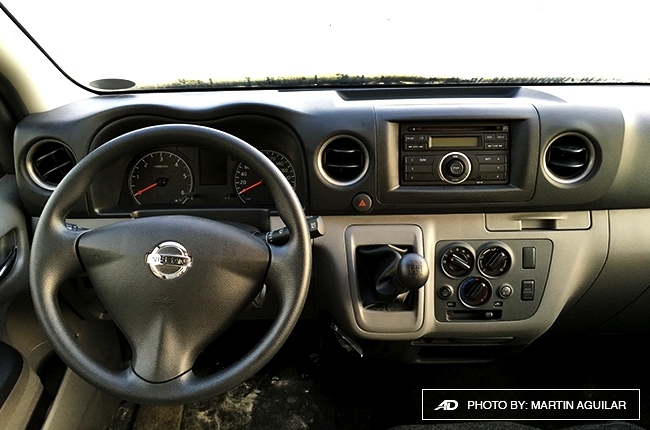 Overall, the Nissan Urvan Premium is a perfect road trip buddy. It has a roomy interior, 2.5L turbodiesel engine, and good ride comfort. 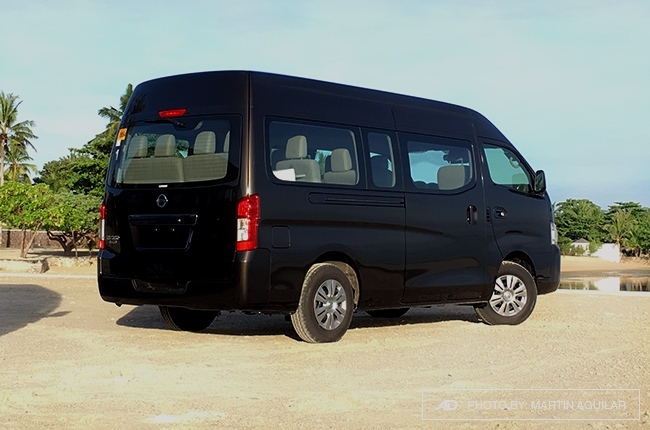 It’s also priced about P900,000 less than the Toyota Hiace Super Grandia LXV. And yes, the Urvan Premium dwindled our urge to munch Cebu’s famous lechon. 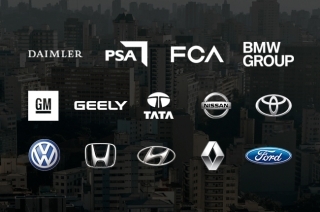 Hi, I would like to receive a financing quote for the Nissan NV350 Urvan, thank you.